We just love Namibia! From the peacefulness, all the beauty and surprises that each town has to offer and most of all the people. We follow a lot of real estate agents from Namibia and often get to see what our neighbouring country has to offer. We're also lucky enough to do business with them and when ever we sign up a new client from Namibia, it's always the same, pure politeness! Owners Johan van Zyl and Angelika Van Zyl signed their real estate agency, Anjo Estate Agency, up with Entegral Technologies. 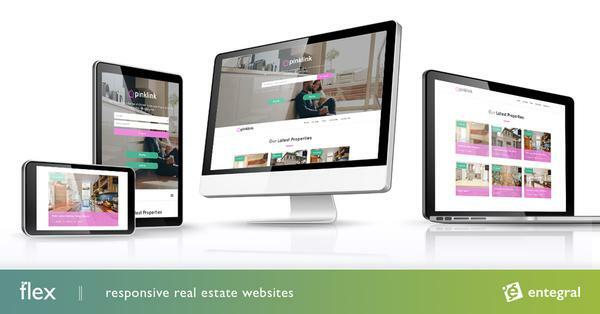 They, together with their team of agents are making use of our Office Management System to manage their business online, market on one of Namibia's largest property portals, www.myproperty.com.na and manage and update their own Flex Website. 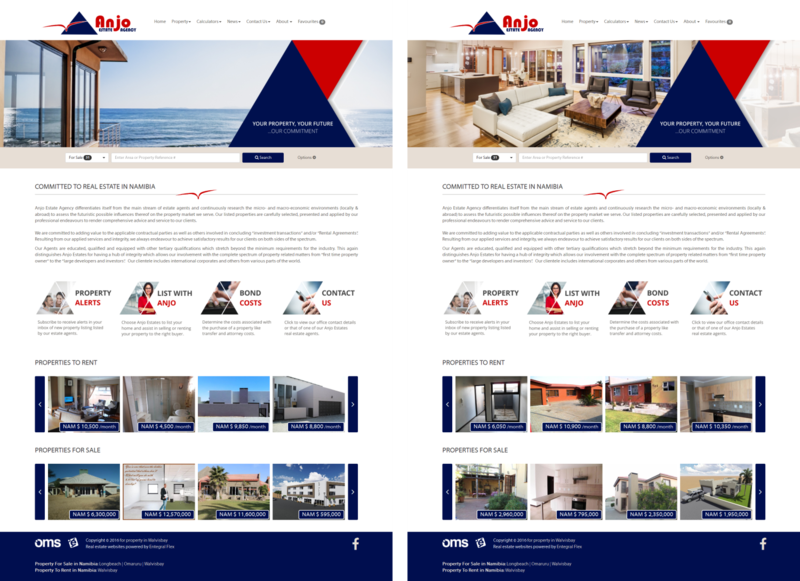 They chose our most popular template, the Elegant theme, added property alerts, a rotating carousel and and forms for the public to list their stock with Anjo Estate Agency. Anjo Estates, situated in Walvis Bay, operates in Walvis Bay, Longbeach, Omaruru and surrounding areas. Real Estate agents from this agency have both for sale and rental stock available. Our systems makes provision for any real estate agent from Namibia to use and assist in the management and marketing of their real estate business online. Contact us today for a quote on our Office Management system, Email and website hosting for your real estate business in Namibia.